Trying to figure out if a negative number is larger than another can be a little tricky. To make things easier, you could use a number line! 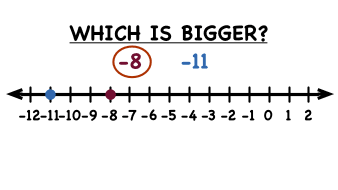 This tutorial shows you how to use a number line to compare two negative numbers and determine which is larger.